In the case of physical work, it’s pretty simple to figure out how this would work in evolutionary psychology. You wouldn’t want to expend 1000 Calories to get 500 Calories worth of food energy. Similarly, you wouldn’t expend 1000 Calories to get 2000 Calories if there was a way to get it for 500, half the “price”. Animals that consumed more energy than they needed starved to death. That left the “efficient” animals to reproduce and pass that efficient behavior on to their offspring. But in terms of food energy, it takes just about as much to think of one U.S. President as it does to think of all 43 U.S. Presidents. If you can get that steak by just naming one, what kind of maroon would name all of them, in order? Well, someone like me, for example. Psychological research rides to the rescue, in the form of a paper by Kool, McGuire, Rosen and Botvinick published in last year’s Journal of Experimental Psychology (General). One side benefit of abstracting this paper for my audience is that I can call it “The Kool paper” which seems right somehow. Unfortunately, Kool and McGuire contributed equally to the project so it really should be “Kool and McGuire et al.” but that doesn’t have the same ring to it. The brainstem is a small, tightly connected, and essentially hard-wired piece of neural real estate that controls our state of alertness, heart rate, breathing rate, and so forth. It’s tightly interconnected with the hypothalamus, not technically part of the brainstem but still part of the unconscious nervous system. As physiological psychologists are fond of joking (this joke goes back to at least the second edition of Neil Carlson’s magnificent textbook on the subject), the hypothalamus controls the four Fs: feeding, fighting, fleeing, and mating. Ba-dump. The limbic system, the emotional part of the brain, also appears to operate at a subconscious level. For example, we’ve talked about the role of the anterior cingulate cortex in expressing political views. The anterior cingulate is also important in an “emotional Stroop test“, where a person needs to control an emotional response to words they’re reading. The amygdala, also part of the limbic system, is important for triggering anger and fear in response to appropriate (or, sometimes, inappropriate) stimuli. All this deciding and doing happens without the participation of the rest of the brain, and is an essential part of your day-to-day activities. What distinguishes humans is the size, complexity, and variety of their cerebral cortex. Mother, or your ethical framework, or your culture (really, all of the above) reside in the prefrontal cortex, with the rest of the cortex making high-level decisions about Other Important Stuff. We like to think that being human means that the cortex rules, but that’s simply not the case. In many respects, the brainstem and thalamus run the show and the cortex just gets to weigh in on relatively mundane things like what restaurant to go to. 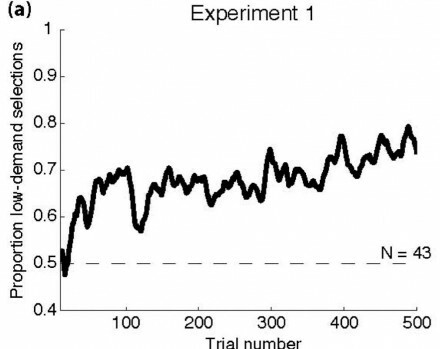 The Kool and McGuire paper didn’t really test my dogma, as stated above, because it looked at two ways of using the cortex, a simple way and a more complex way. Still, I think it gives us some important clues as to how the brain works, and supports the concept of stereotyping as a time-saving device. Kool and McGuire asked, does the “Law of Least Work” apply to mental work as well as physical? To test this, they came up with cognitive tasks that, as Tina Turner famously observed, could be done “nice and easy” or “nice and rough”. They call these “demand selection tasks” because participants are choosing the level of cognitive demand they want. The participants were given images on a computer screen that looked like a deck of cards, with a numeral on each. The task was to select either “odd” or “even” when presented with the “card”. In the low-demand “deck”, the even numerals were mostly one color and the odd numerals mostly another. In the high-demand deck, the odd/even category did not match the color category. It’s interesting to me, because what I do instinctively on slides I present to my students is try to reduce the cognitive demand they put into reading the slide, so that they can focus energy on the cognitive demand of the material itself. 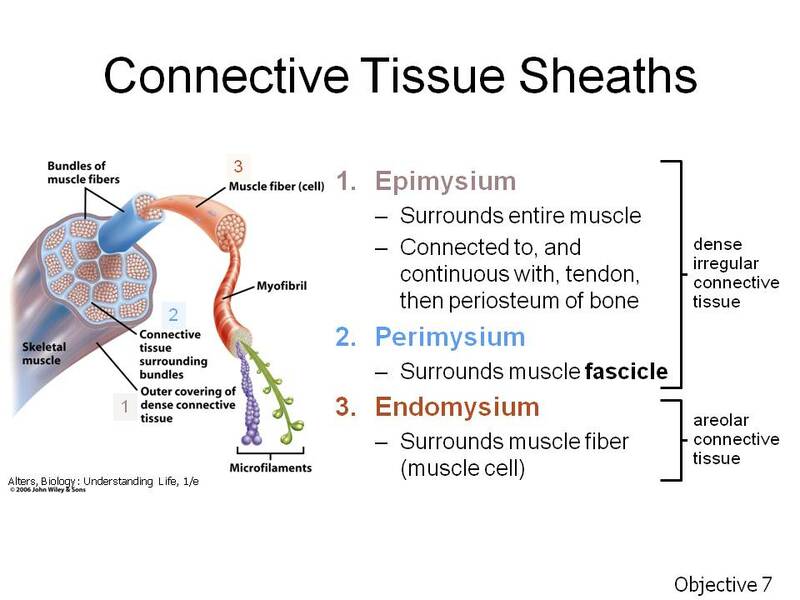 For example, in the labeled diagram shown here, I’ve matched the color of the connective tissue sheath in the artwork to the name of the layer by using Photoshop’s eyedropper tool to sample the color on the image and match it to the text. This reduces the students’ cognitive effort to figure out which label goes with which layer of muscle, in the same way the Kool and McGuire task reduces the cognitive demand of choosing odds or evens. Of course, the first time participants worked at the task, it was 50/50 which virtual deck they would choose. 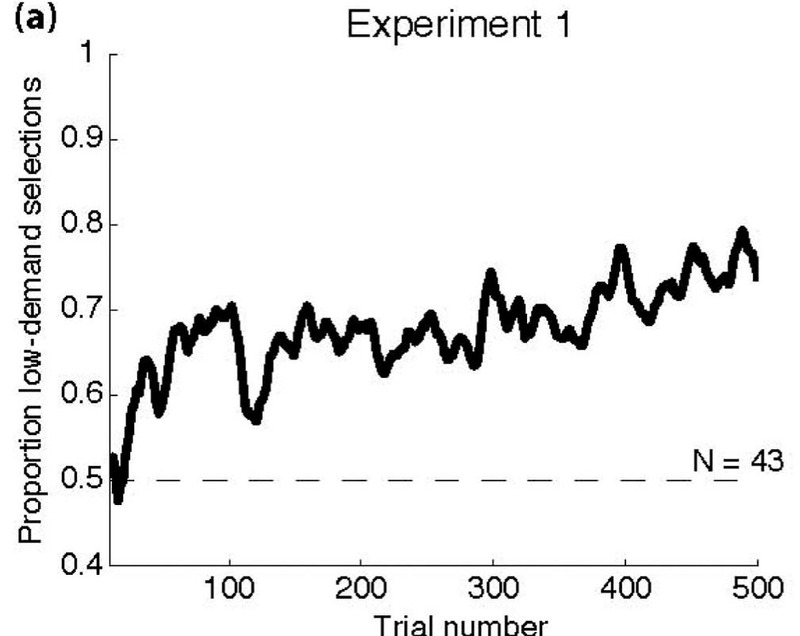 However, over repeated trials, they eventually chose the “easier” deck about 3/4 of the time, as shown in figure 2 from the paper. I’m interested in how this might reflect, not only on our prejudices, but in our political decisions. Do people choose the candidates and party based on what’s easiest (“my Daddy voted Demmycrat, so I vote Demmycrat too”)? Perhaps our political decisions, as so many decisions in our lives, are not made based on cortical information processing but rather on whatever choice is easiest for us. Thanks for the compliment! 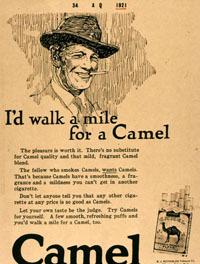 Yep, we actually use psychological and educational principles when we put together the course. Amazing. You’ll see that slide again in another week or two.